If this wine were a dancer it would come on stage an drive the crowd insane with delight before the main act. 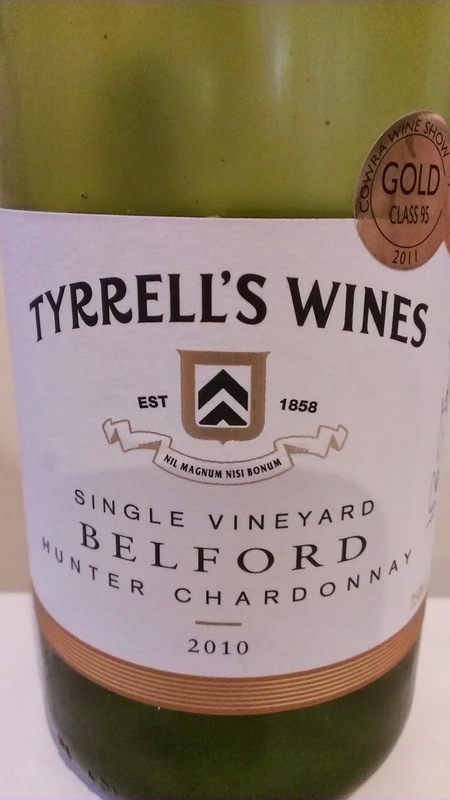 In this case, the main act is the Tyrrell's Vat 47 Chardonnay. As much as I loved that wine, I totally understand that not everyone's budget can stretch that far ($70). Step in and step up the understudy the Moon Mountain. Talk about bang for buck! For less than a third of the price of the Vat 47, this will put a big smile on the dial. 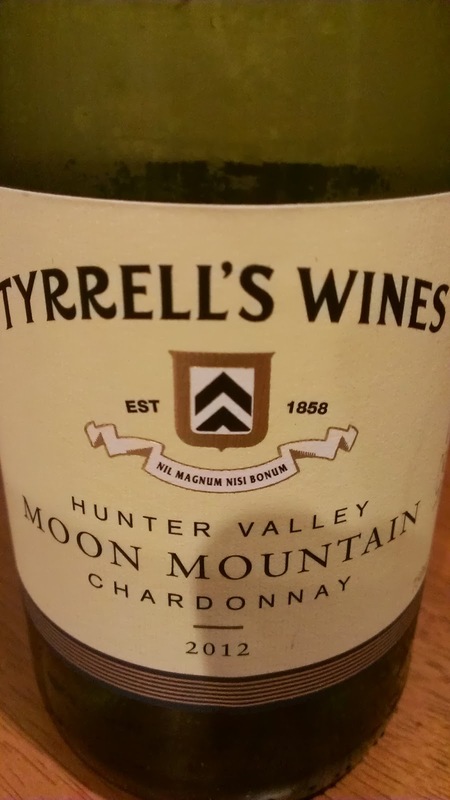 A blend of fruit from various Tyrrell's vineyards, some hand picked, some machine harvested. The youngest vines contributing are fifteen years old. Some lees stirring and a mix of new to three year old French oak were used for eight months. And the taste? Damn good! Ever so judicious use of oak which sits beautifully behind delicious fresh fruit. Flavours are generous and superbly balanced. Acid is soft with an impressive length to finish. Wine lovers are coming back to Chardonnay and this is yet another reason why. For twenty bucks, load up! Something I'd happily buy hands down. 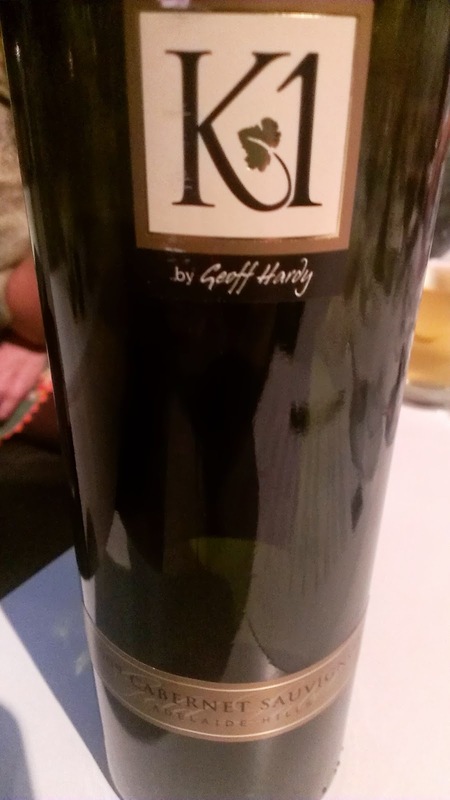 An interesting Shiraz. Some very good elements to this wine but it also seemed all over the shop. Chocolate and sour cherry characters reigned supreme with a delicious spice kick. The acid which sat on my teeth which was noticeable and raised the eyeborws. Good texture but needed some polish. A drying finish and a cheeky warmth wrapped it up. The wine didn't budge on day two and held its form well. Perhaps some further cellaring will help settle this wine, I'm thinking 3-5 years. Keep in mind it already has three years on it. Have with a hearty winter casserole type of meal or with piece of dark chocolate wedged in the side of your mouth. Not something I would buy for now but I'd be interested to see where it ends up in a few years. Laced with fresh stone fruit, a touch of pawpaw and citrus aromas. Some toasty oak and nutty flavours fill out the palate. Gorgeous length . Warming and mouthfilling. A very well made and balanced wine which is readily available. Good value too. 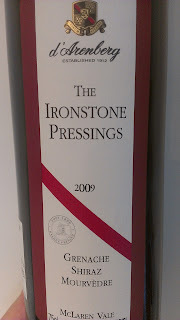 I stood and applauded the latest Ironstone Pressings 2009 and this new release Cabernet Sauvignon from d'Arenberg is not far behind. The fruit comes from McLaren Vale. Time is spent in new and old French oak and old American when the best barrels are selected for blending. Traditionally no fining or filtering as is the case at d'Arenberg. 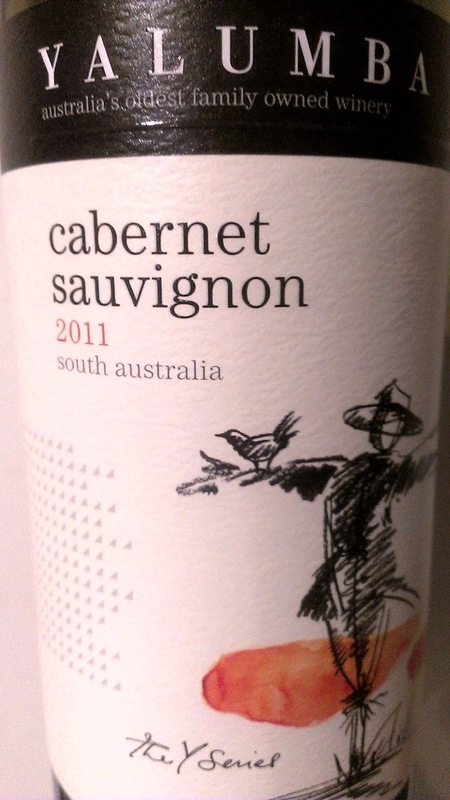 Expect the usual Cabernet characters and some alluring earthiness. Initially the dense flavours were firm but they softened over the ensuing days which all points positively to its aging capabilities. This wine will be singing in three to five years and will comfortable live beyond fifteen years. A keeper for a dark place. This is something out of the box. And coming from Luke Lambert, you shouldn't really be surprised. 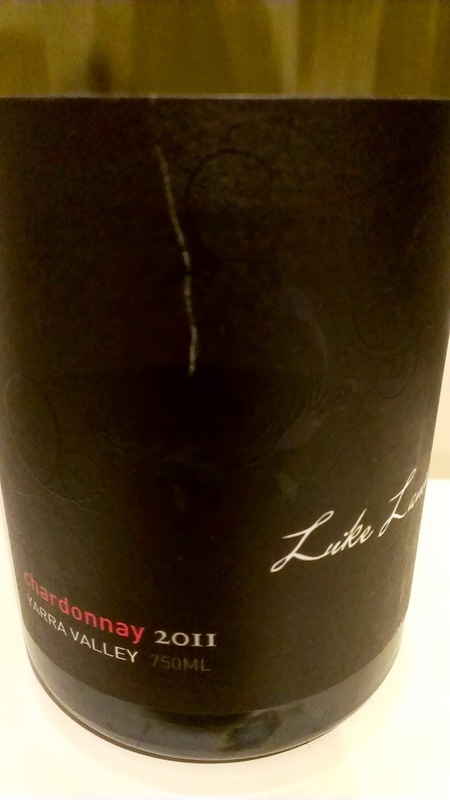 His first Chardonnay, the fruit comes from the Yarra Valley and is carefully sorted, wild yeast fermented and bottled without fining or filtration. 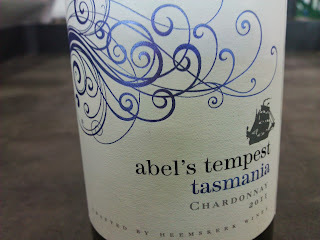 A wine most certainly with a point of difference, don't expect the usual Chardonnay chat here. My first whiff initially picked up some Polish Hill Riesling type characters before further revealing some soft almond breadiness. Fresh and light in appearance, it reminded me of early morning sunshine, bright and golden. Just as I thought I'd be satisfied with what I saw, the fruit delivered a very moreish palate. 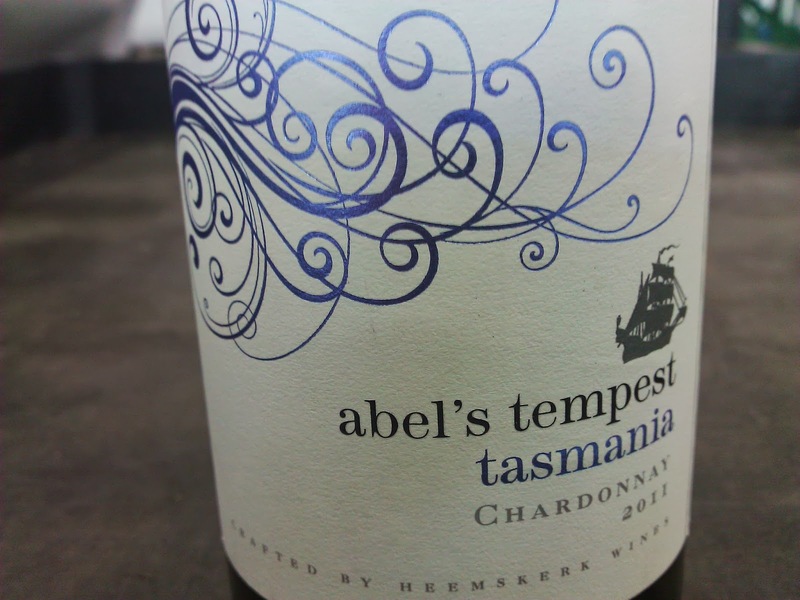 I'd go out there and even suggest some Hunter Semillon type features on the palate. That breadth and depth very much there. Soft and rounded. Some gentle Chardonnay warmth evident on the finish. For $28, well worth it. Chardonnay now has so much more to offer the consumer. Winemakers have reformed the variety and the spectrum of fresh styles to those old heavily wooded versions is nothing but a win for the thirsty folk. Most punters are moving away from heavy wooded types hence the resurgence and interest. 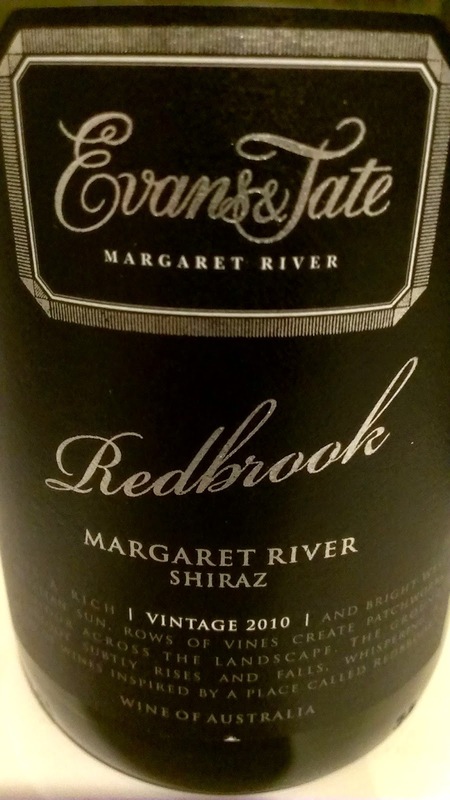 Hand picked from a dry grown vineyard in the Hunter Valley sub region of Belford, the wine commenced fermentation in stainless steel before finishing its time in French oak for seven months. 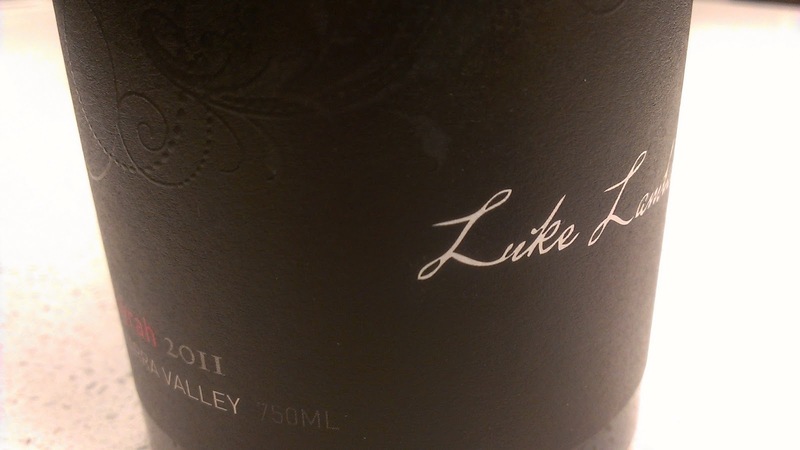 This wine delivers some oak, and for those seeking a fresh style, perhaps this may not be you. But in terms of what is in the glass, this is a very decent wine. 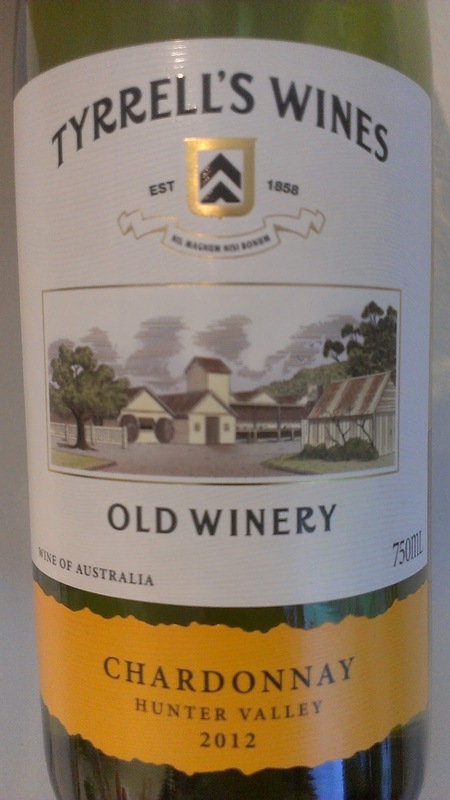 Oak aromas are there but so too are nougat, cashew nuts, peachy characters and some creamy butter. All these well developed characters greet you on the palate. A very well balanced wine with lovely length. No too heavy but a great wine to accompany pan fried or roast chicken dishes. Great colour and a soft attractive nose. Plenty of dried herbs, blackberry, blackcurrant and plums. Lots of juicy fruit with all those characters reappearing on the palate. An impressive length leaving softish grippy tannins. The highlight for me was the texture. Supple and moreish..
Twenty months in two to five year old French (80%) and American oak has added nicely but not dominating the fruit. Very appealing. Very good. This is Tyrrell's entry level Chardonnay and for the price, it delivers. 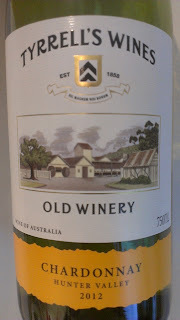 Flavours are clean and fresh, not choked with poor oak or fruit like some at the same price point. Stone fruits, specifically nectarine skip about. Some vanillin oak. The palate offers a good texture too with some interest. No malolactic fermentation has worked well delivering a vibrant wine. I'm more than happy to recommend it to anyone seeking a cheap but good Chardonnay. I'm picturing fish and chips or some shellfish happily going with it. This new release icon GSM from d'Arenberg is bang on target. I loved it day one and even more so on day two. All fruit was fermented separately and aged in a combination of American and French oak before blending. No fining or filtration. One descriptor which came to mind was "a berryathon". It's dense too. Loaded with blackberry, blueberry and some slight raspberry. Plums contributed their fair share. Devine softness, the mouth is filled with plenty of fruit. A little savoury, subtle oak hovers in the background. 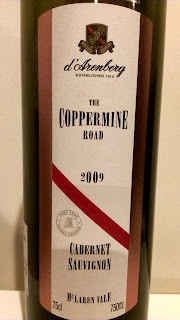 A very well balanced wine with a super long, smooth and dry finish. Sipping on this I couldn't help but think of a big slab of rolled beef wrapped in bacon roasted to perfection. A wine that will easily live for two decades. 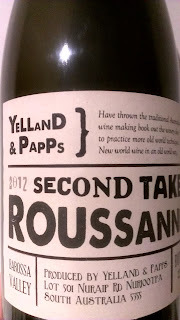 I know I have been banging on about these new release Yelland & Papps wines, but with good reason too. Perhaps I was lucky enough to have saved the best for last. Lucky me. 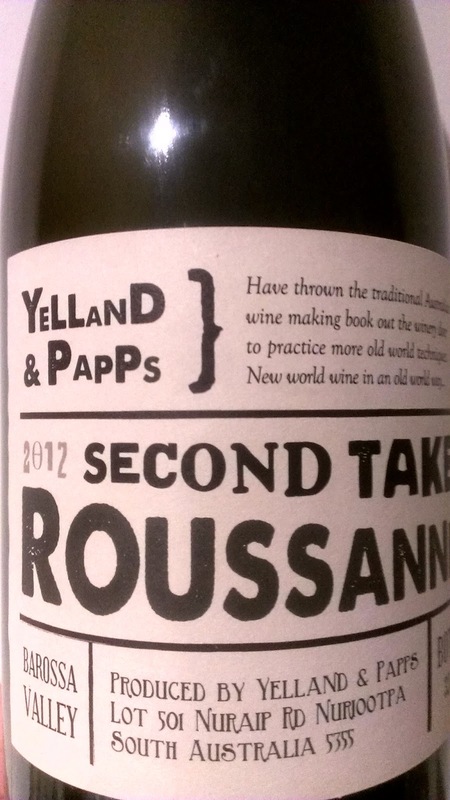 This Roussanne is red hot and for those who are yet to try the variety, don't sit back any longer. Wild fermented and unfiltered, this is some funky goodness. I was amazed by the cloudy apple juice like appearance, then a whiff delivered some slight honey aromas, a hint of lemon zest, some creaminess, but hang on, hello poached pear! The palate is laced with stunning mouth filling flavours which just roll on and on. A dusting of fine spice and pear, then a nougat element kicks in too. This biscuit bread like thing appears followed by a slight nuttiness. So much going on. So good. Ready to drink now there is no need to hang on to it. Available at good independent retailers with only limited stock available. You're on the way home from work and have a hankering for a red to accompany your evening meal with only a fifteen bucks in your pocket...give this a go. The evidence of a wet vintage drag its muddy feet through this wine. 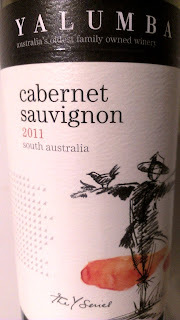 But let's look past all that and see it for what it is, a decent wine which is often discounted to around the $10 mark. Grilled capsicum aromas, the wine came across with a stalky characteristic and perhaps a little green. A touch of oak in the shadows, some blackcurrant and plum fruits come forward. Above average length was pleasing to see. Over a couple of hours the wine continued to grow. Worth a look and like all Y Series wines they demonstrate good varietal characteristics. I always look forward to checking out what Luke Lambert has to offer. Tipped in the decanter, a quick swirl delivered a perfume of fresh raspberries. The next hour saw some oak char and pepper. After my first taste, in some respects I thought the lid fell off the pepper shaker as there was a fair whack of it. This settled over time however. Some slight clove also entered the fray. Good acid but depth was lacking on the mid palate. Revealed on day two was a wine more refined and smooth. Soft, it delivered a melted chocolate type texture on the palate. It was calling for the next sip each time. The pepper was still prominent yet settled. All elements fused together much better. Lambert's wines unleash themselves after many years in the cellar and the last two days of tasting gave an indication of this once more. It wouldn't be a silly idea to grab a few and put them away. I sense this wine may develop into something better than this young wine. Available online or through selected independent retailers.